Talking about comfy flip flops? I got one which I bought from Victoria's Secret. This is BCB generation product and I like wearing it when we go to the beach. 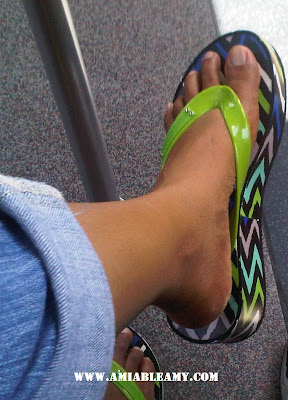 I stand 5 ft so; wearing this flip flops would make me look taller too. It was on sale when I bought it and I have a free coupon code so; it was a good deal.